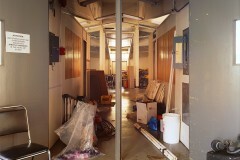 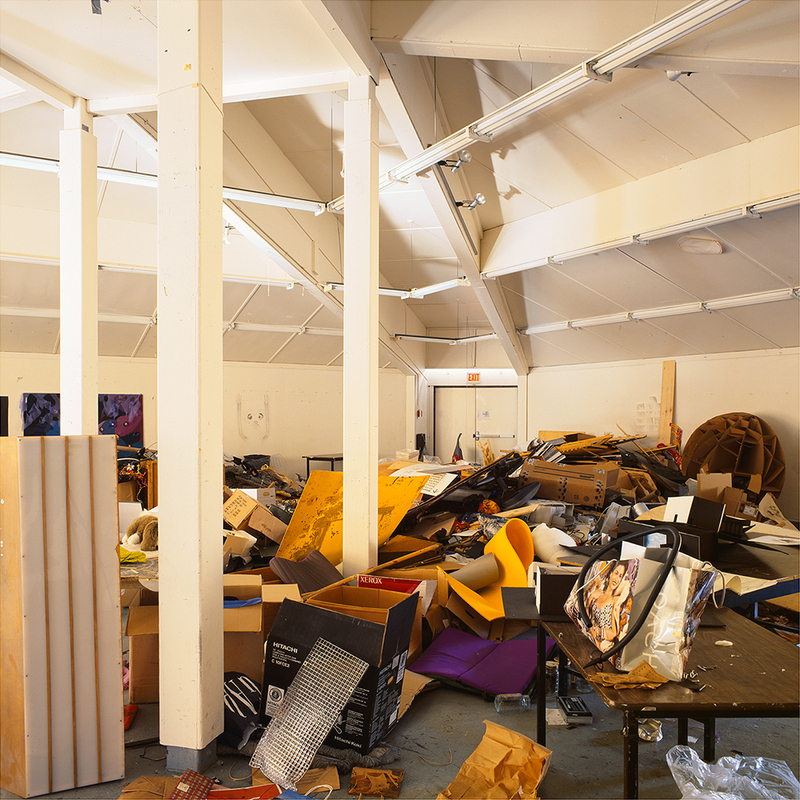 In the summer of 2010, Simon Fraser University demolished the buildings that housed the SFU School for the Contemporary Arts. 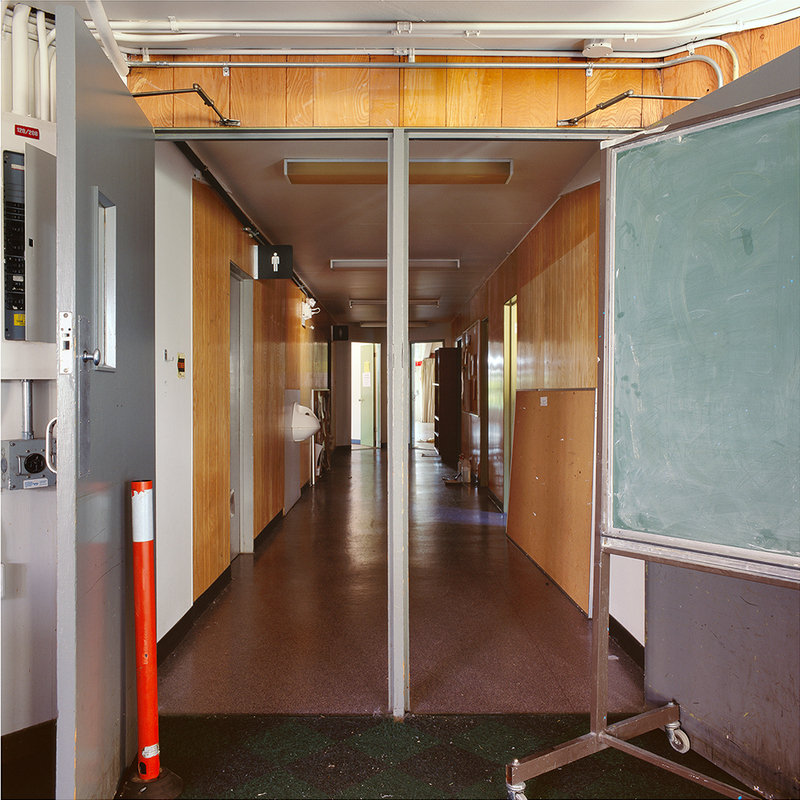 Since the founding of the University in 1965, these buildings had been considered and referred to as temporary structures or portables. 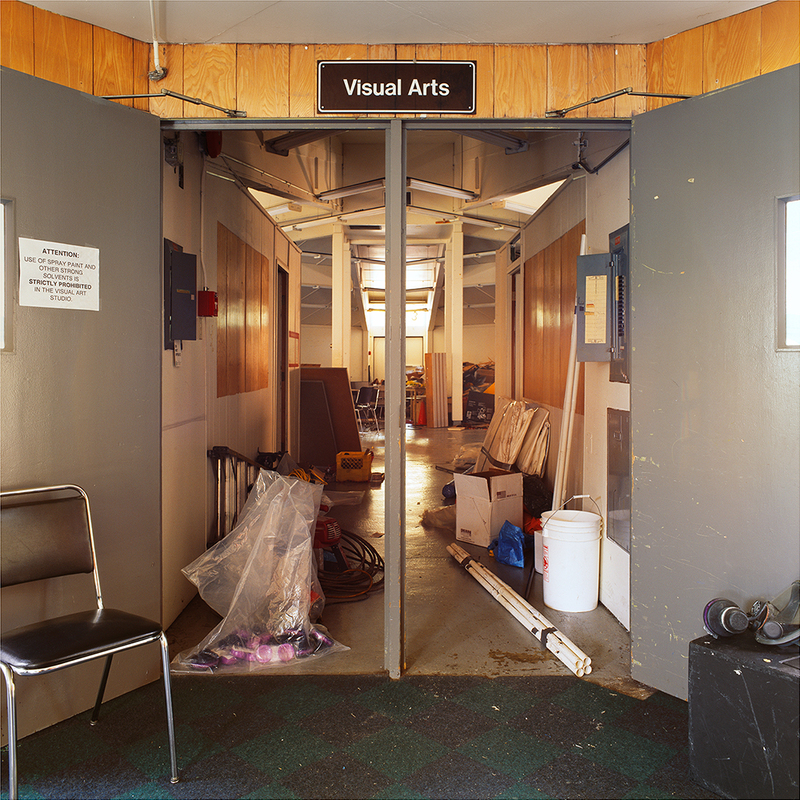 The vision for the near future was to demolish the buildings and construct new and larger facilities for the School for the Contemporary Arts. 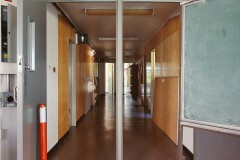 This would provide the SCA with a permanent presence within the University Campus. 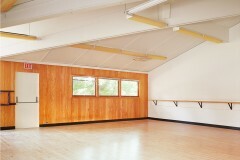 The SCA buildings held the discipline of Dance, Theatre, Music, Visual Arts, and Film. 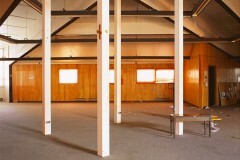 Each of these disciplines occupied their own building, shared the same architectural design, and were connected through a common central nave. 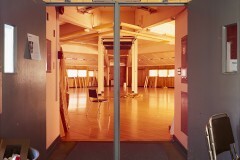 Forty five years later the SCAs initial vision to construct a new permanent building at the main SFU Burnaby campus shifted with a decision to move to an offsite location in downtown Vancouver. 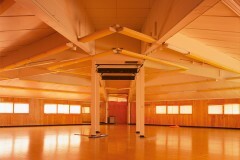 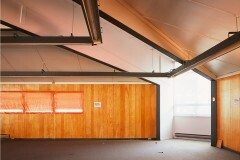 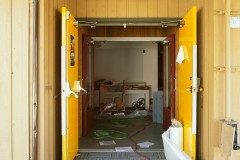 The existing buildings were then decommissioned, emptied, and readied for demolition. 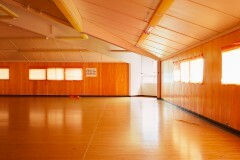 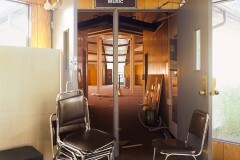 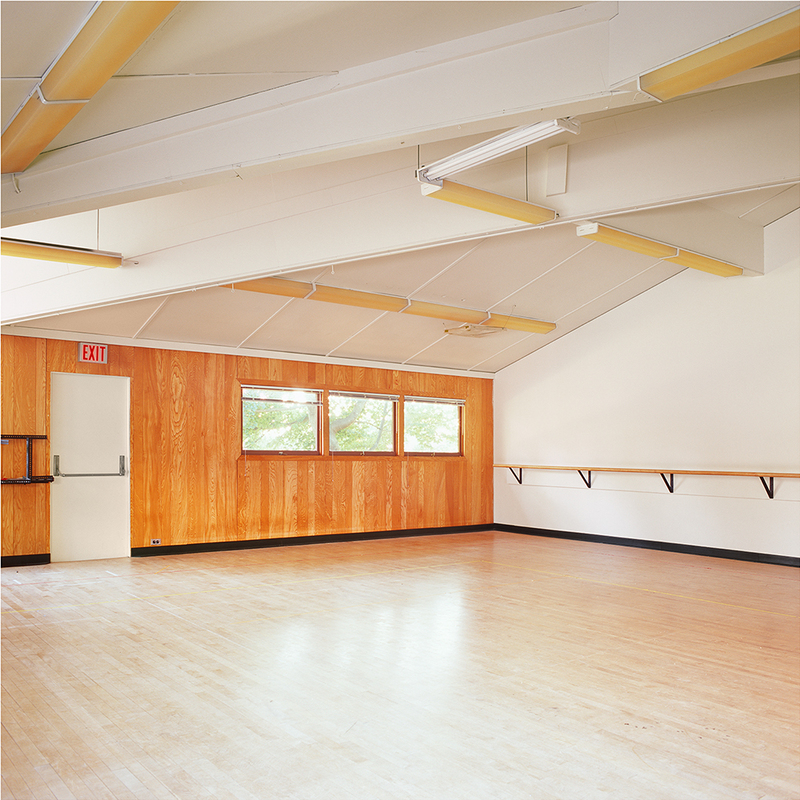 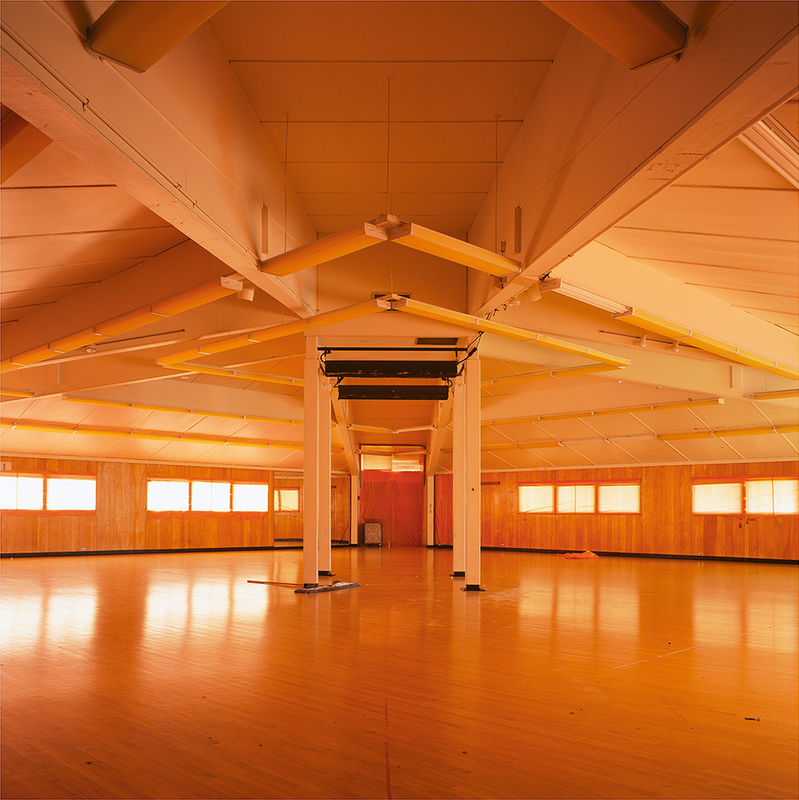 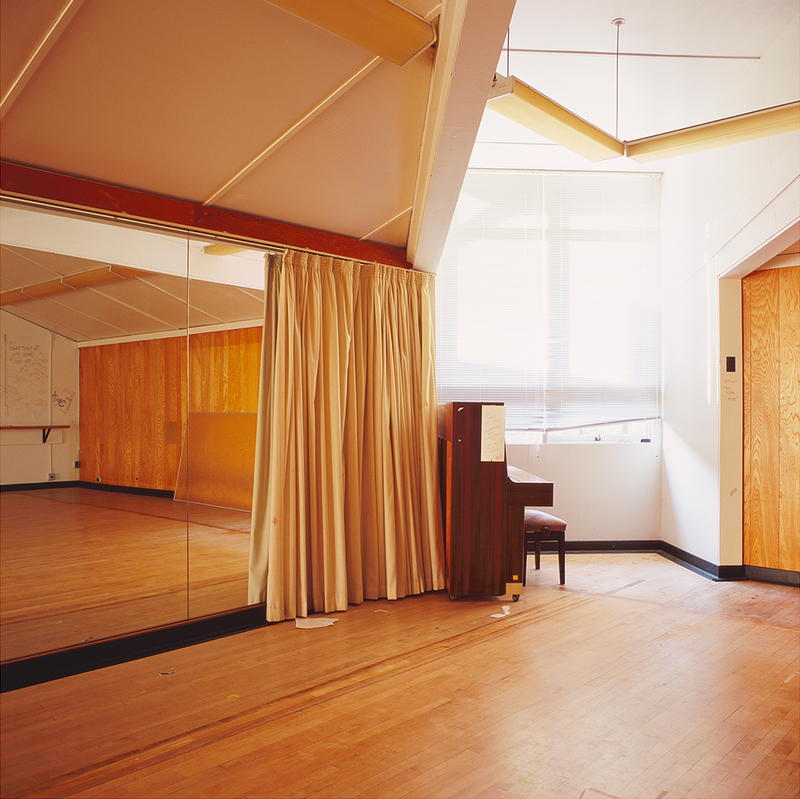 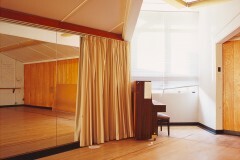 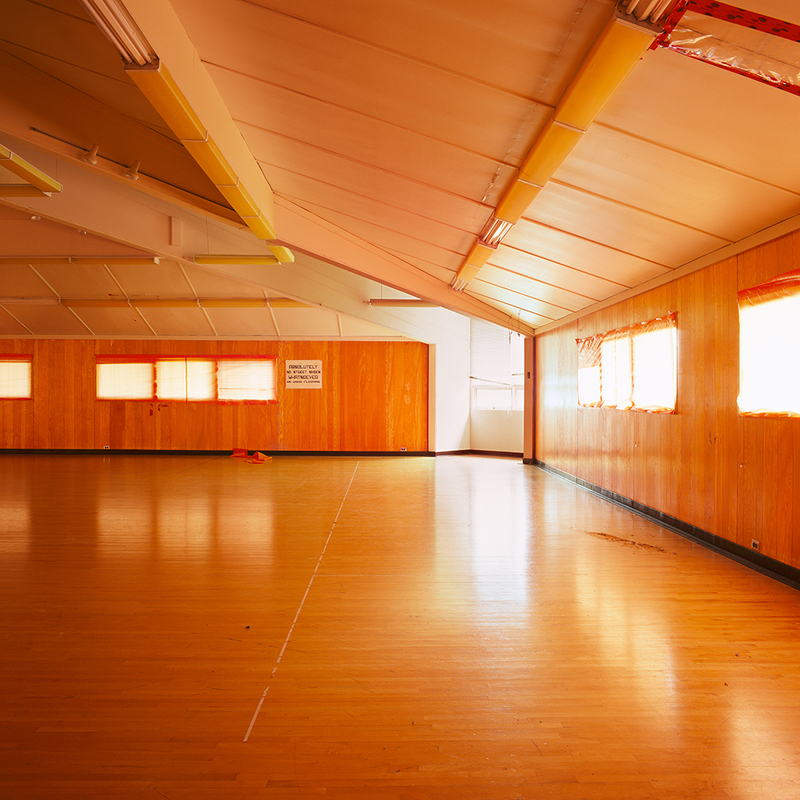 It was at this time that Terris began to photograph the interior spaces of each building. 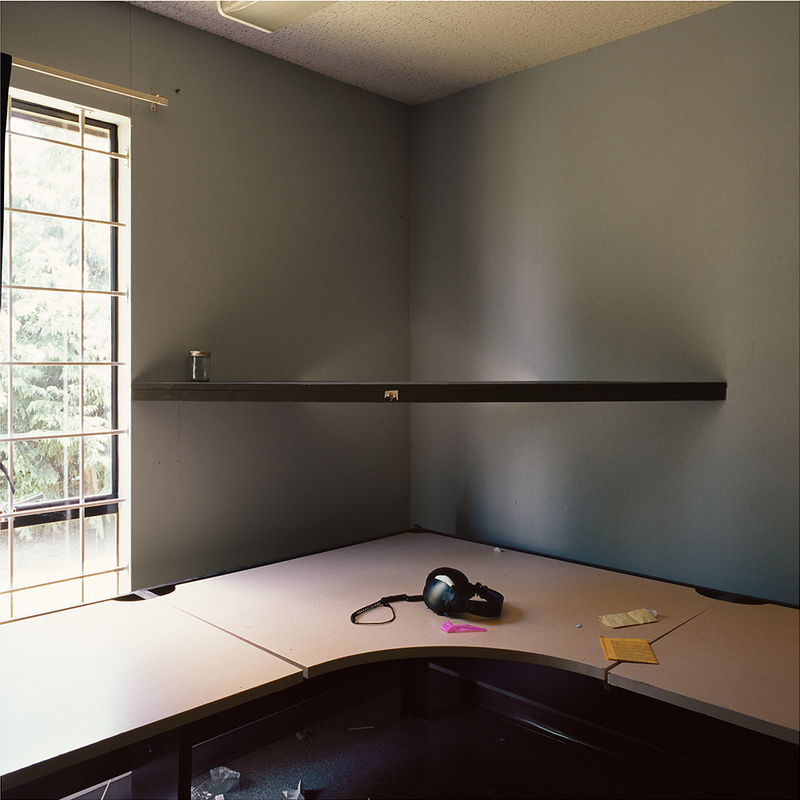 The resulting series of photographs were taken at a moment of flux characterizing a desolate anticipation while waiting for the wrecking ball. 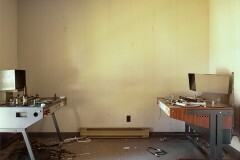 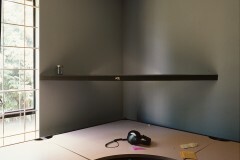 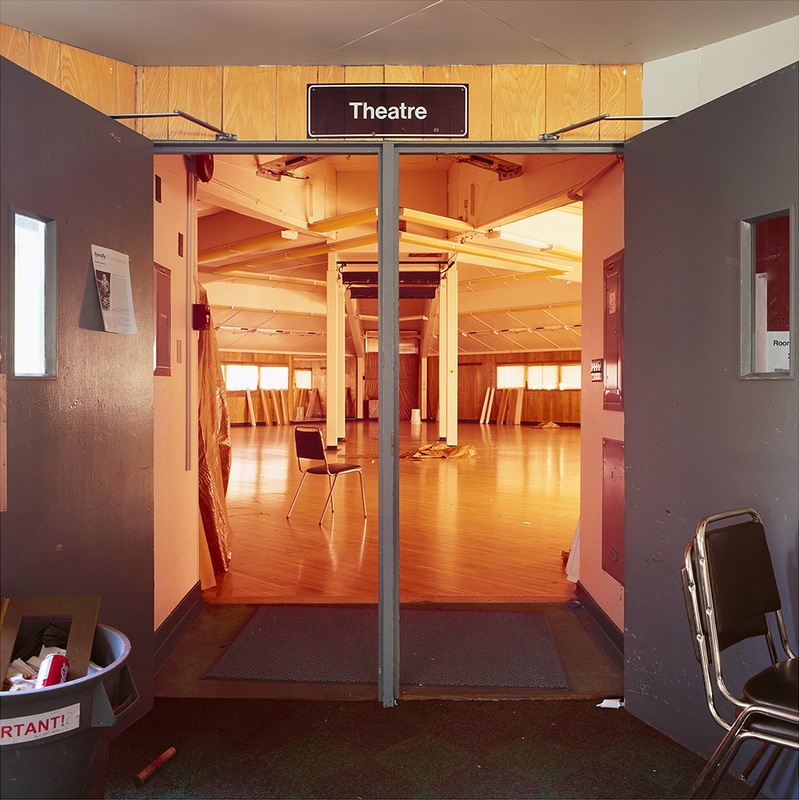 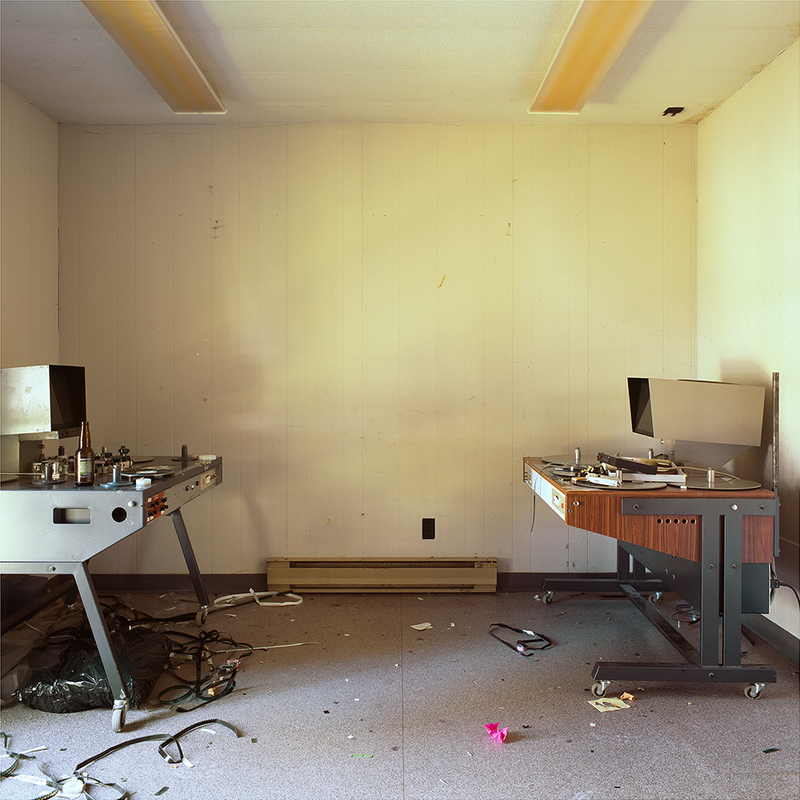 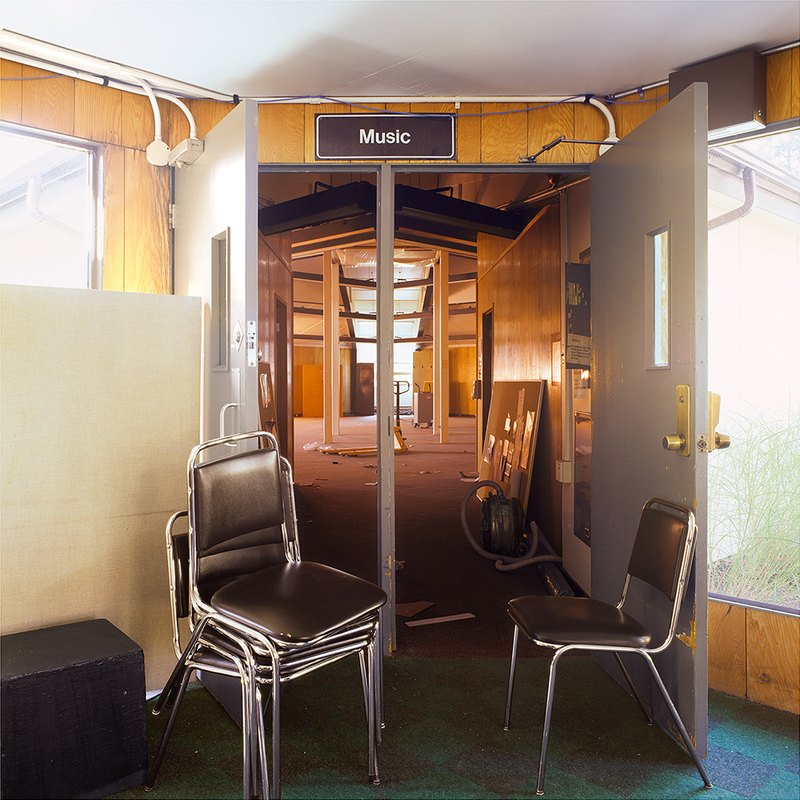 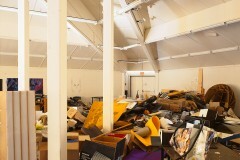 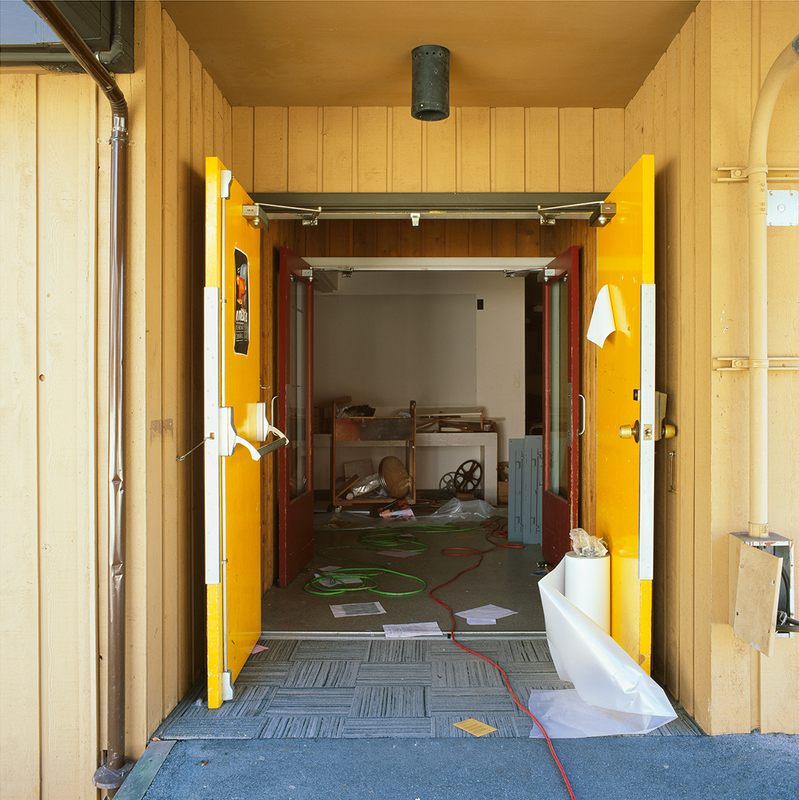 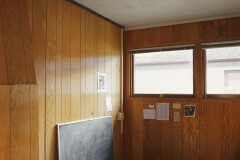 The series builds upon Terris’ previous photographic works American Entropy, and Interior Views. 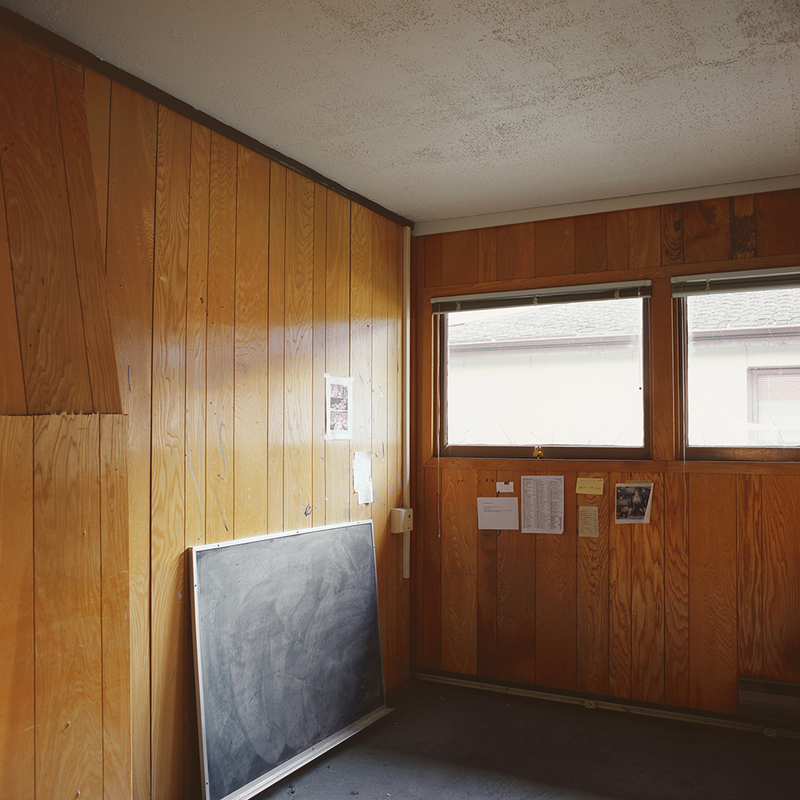 These projects share a critical relation between objects, spaces, and history while revealing the ideological and structural underpinnings embedded in the design, form, or specific geographic location depicted in the photographs. 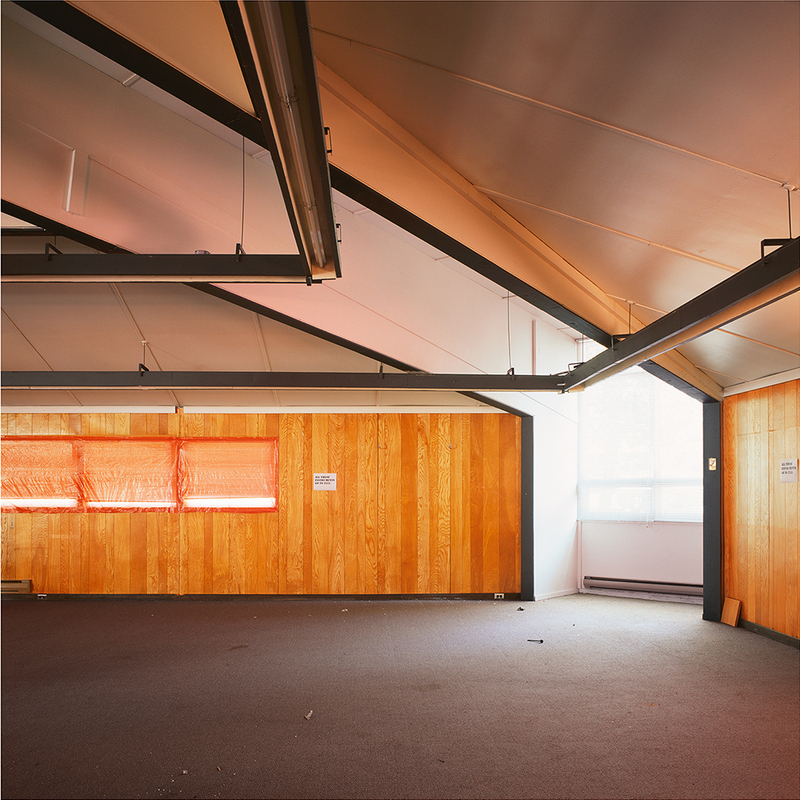 The photographic series depicts the interior spaces of the buildings specific to each artistic discipline. 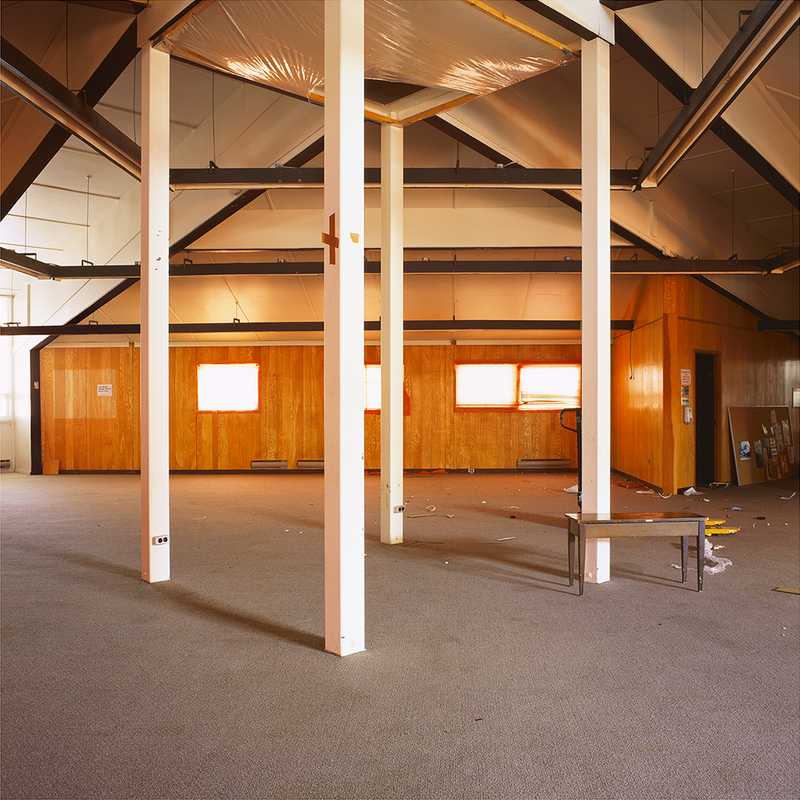 All the buildings had been emptied of their most valuable contents and readied for demolition.